Wolff-Michael ROTH, Lilian POZZER-ARDENGHI, JaeYoung HAN, haggyo gyoyug-eseo sigagjeog pyosang-ui ihaewa hwal-yong: bipanjeog dohaelyeog [Critical graphicacy: Utilization and understanding of visual representation in school education](Seoul, Korea: Blue Road, 2015). 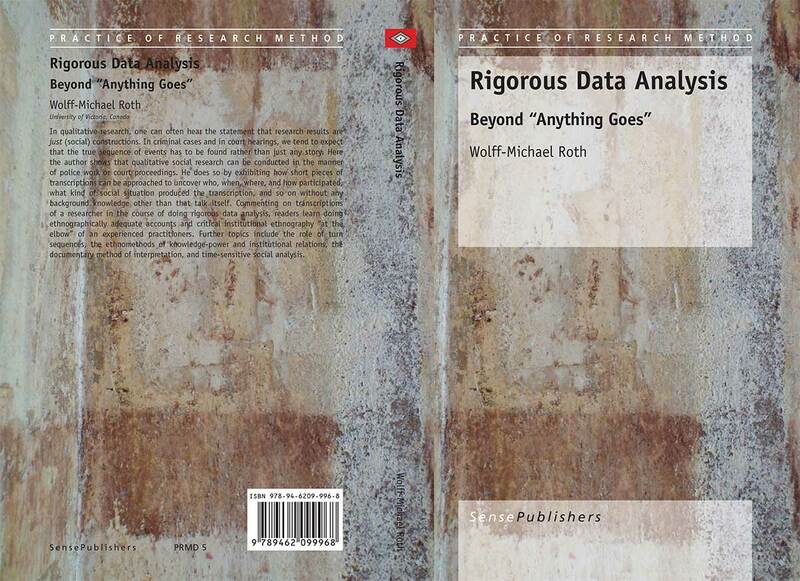 Wolff-Michael ROTH, Rigorous data analysis: Beyond anything goes (Rotterdam, The Netherlands: Sense Publishers, 2015). Wolff-Michael ROTH, Curriculum*-in-the-Making: A Post-Constructivist Perspective (New York, NY: Peter Lang, 2014). The book theorizes about the living curriculum as an event that is in the making, and, because unfinished, cannot be known as an object and therefore remains indeterminate. This changes the ways in which subject, ethics, and the learning paradox have to be thought: including the subject as patient. Wolff-Michael ROTH, Uncertainty and Graphing in Discovery Work: Implications for and Applications in STEM Education (Dordrecht, The Netherlands: Springer, 2014). The first part provides a detailed ethnographic account of the work in an experimental biology laboratory; the second part draws implications for rethinking STEM education with practical examples of how to re/organize curriculum. 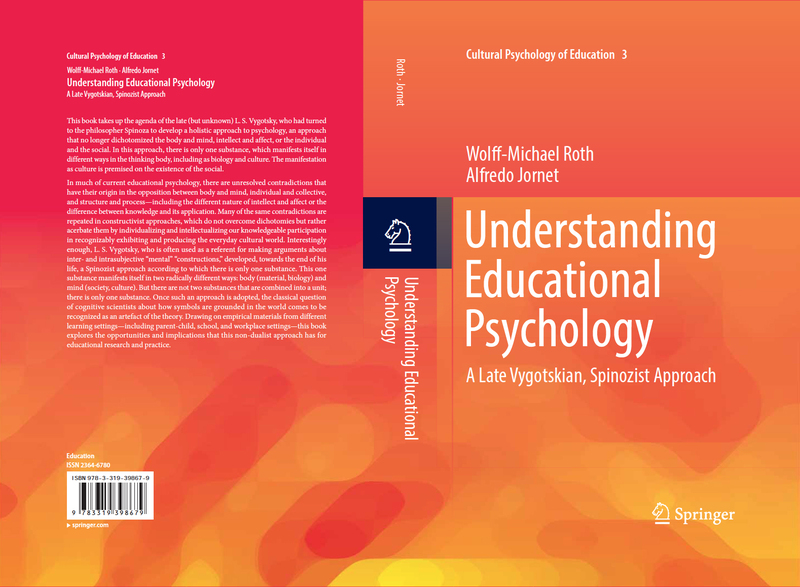 Wolff-Michael ROTH, Meaning and Mental Representation: A Pragmatic Approach (Rotterdam, The Netherlands: Sense Publishers, 2013). Wolff-Michael ROTH, What more in/for Science Education: An Ethnomethodological Perspective (Rotterdam, The Netherlands: Sense Publishers, 2013). Michiel van EIJCK, Wolff-Michael ROTH, Imagination of Science in Education (Dordrecht, The Netherlands: Springer, 2013). A broad analysis of how science is constructed in mythical form in and for the purpose of science education. Wolff-Michael ROTH, Maria Inez Mafra GOULART, Katerina PLAKITSI, Science Education During Early Childhood (Dordrecht, The Netherlands: Springer, 2013). We develop a cultural-historical perspective on science during the early years of child development, with examples from the ages of 1-5 and with descriptions of teacher education programs. Swaona MUKHOPADHYAY, Wolff-Michael ROTH (Eds. ), Alternative forms of Knowing (in) Mathematics: Celebrations of Diversity of Mathematical Practices (Rotterdam, The Netherlands: Sense Publishers, 2012). The main thrusts is to contemplate the fundamental question of whose mathematics is to be valorized in a multicultural world, a world in which, as Paolo Freire said, "The intellectual activity of those without power is always characterized as non-intellectual." 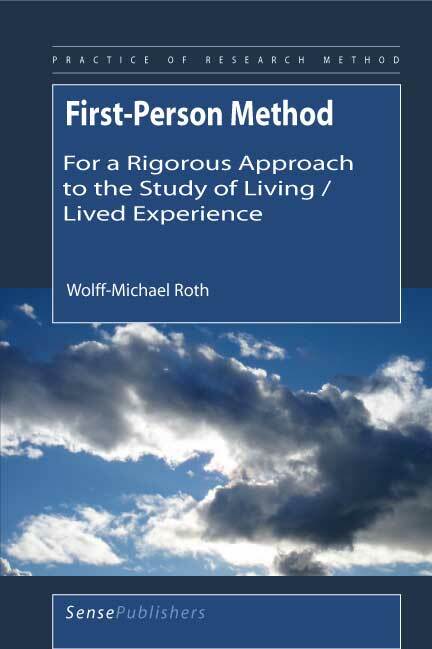 Wolff-Michael ROTH, First-Person Method: For a Rigorous Approach to the Study of Living / Lived Experience (Rotterdam, The Netherlands: Sense Publishers, 2012). I outline a method for studying knowing and learning through the rigorous analysis of first-person experience that overcomes the fallacies of "interpretation" and "hermeneutics." 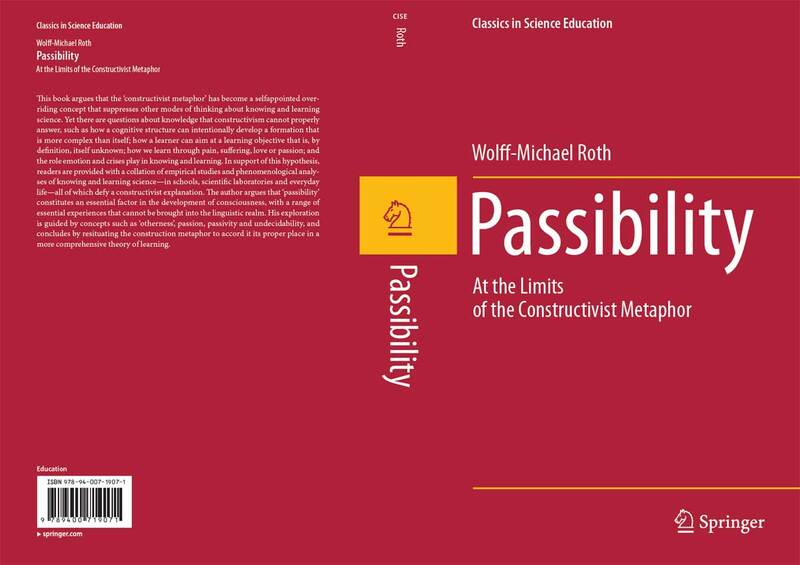 Wolff-Michael ROTH, Passibility: At the Limits of the Constructivist Metaphor (Dordrecht, The Netherlands: Springer, 2011). Wolff-Michael ROTH, Geometry as Objective Science in Elementary School Classrooms: Mathematics in the Flesh (New York: Routledge, 2011). 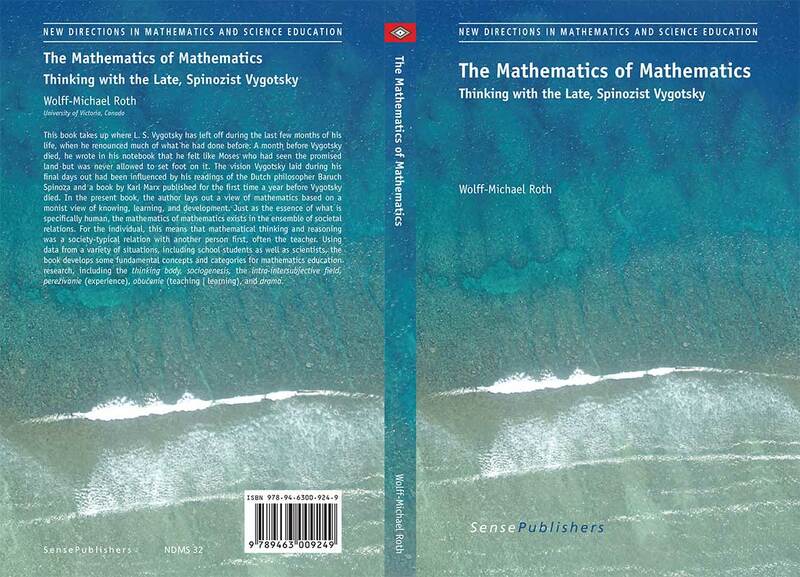 Wolff-Michael ROTH and Luis RADFORD, A Cultural Historical Perspective on Mathematics Teaching and Learning (Rotterdam: Sense Publishers, 2011). SungWon HWANG and Wolff-Michael ROTH, Scientific & Mathematical Bodies: The Interface of Culture and Mind (Rotterdam: Sense Publishers, 2011). In this book we present a theory of learning in which the living body, which phenomenological philosopher refer to as the flesh, plays the central role because its senses allows it to make sense. Wolff-Michael ROTH, Language, Learning, Context: Talking the Talk (London: Routledge, 2010). 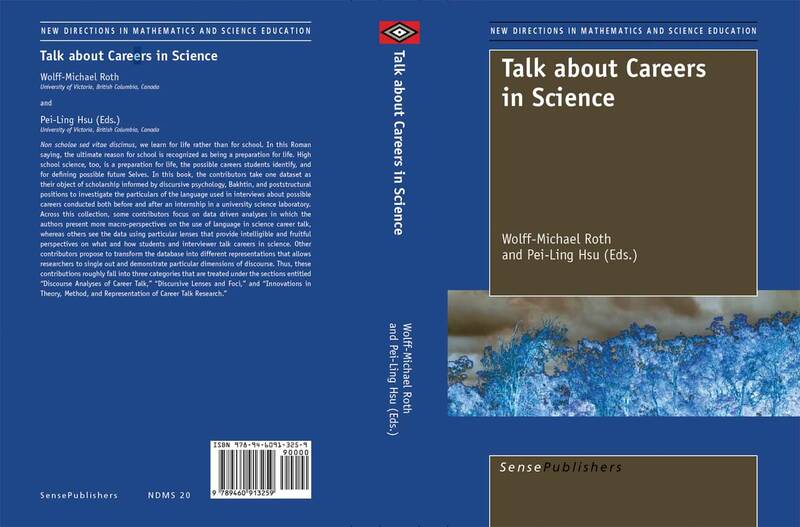 Wolff-Michael ROTH and Pei-Ling HSU (eds), Talk About Careers in Science (Rotterdam: Sense Publishers, 2010). 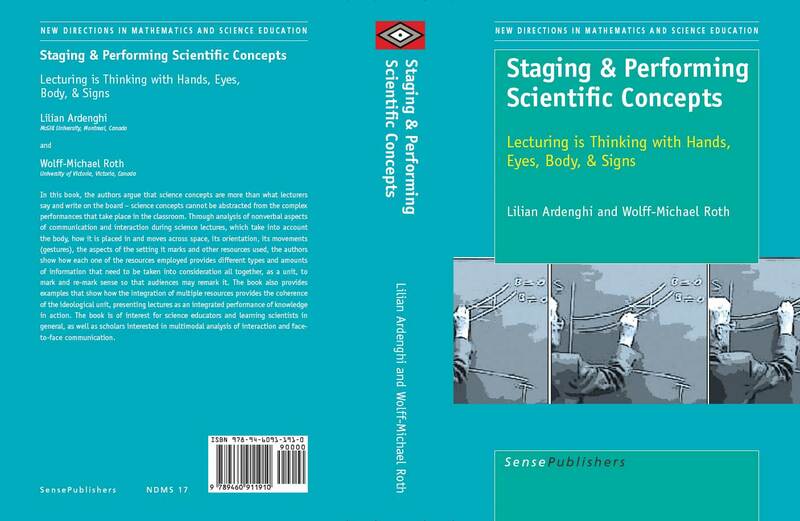 Lilian ARDENGHI and Wolff-Michael ROTH, Staging & Performing Scientific Concepts (Rotterdam: Sense Publishers, 2010). 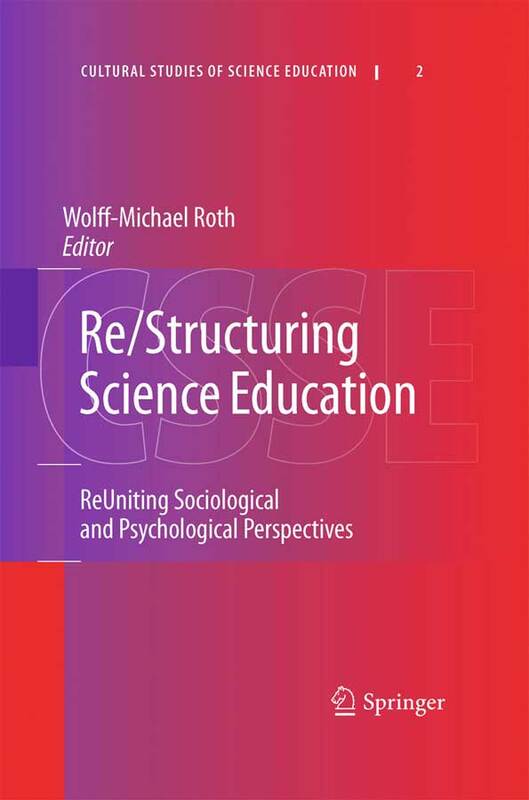 Wolff-Michael ROTH (ed), Re/Structuring Science Education: ReUniting Sociological and Psychological Perspectives (Dordrecht, The Netherlands: Springer, 2010). 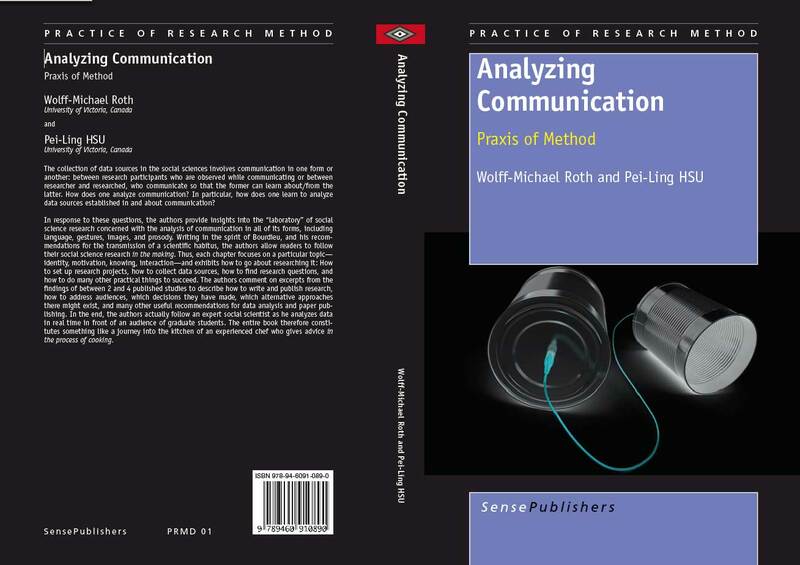 Wolff-Michael ROTH and Pei-Ling HSU, Analyzing Communication: Praxis of Method (Rotterdam: Sense Publishers, 2010). 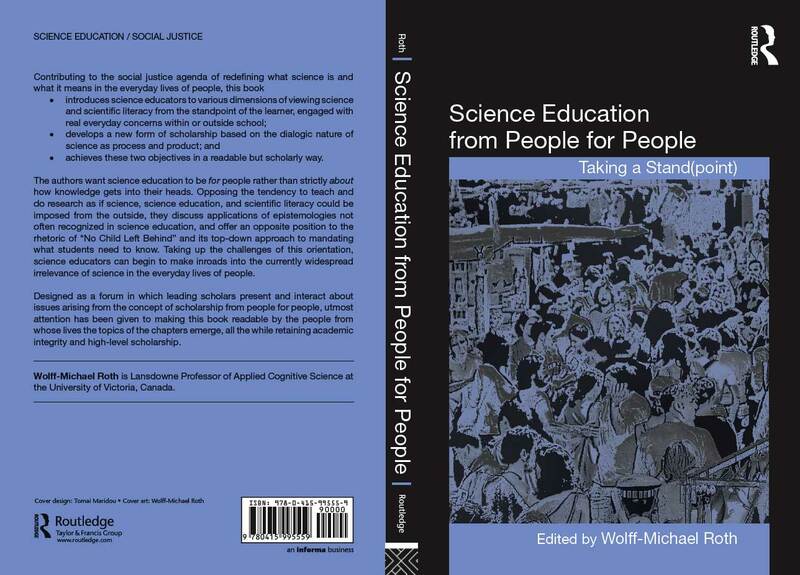 Wolff-Michael ROTH (ed), Science Education from People for People: Taking a (Stand)point (New York: Routledge, 2009). 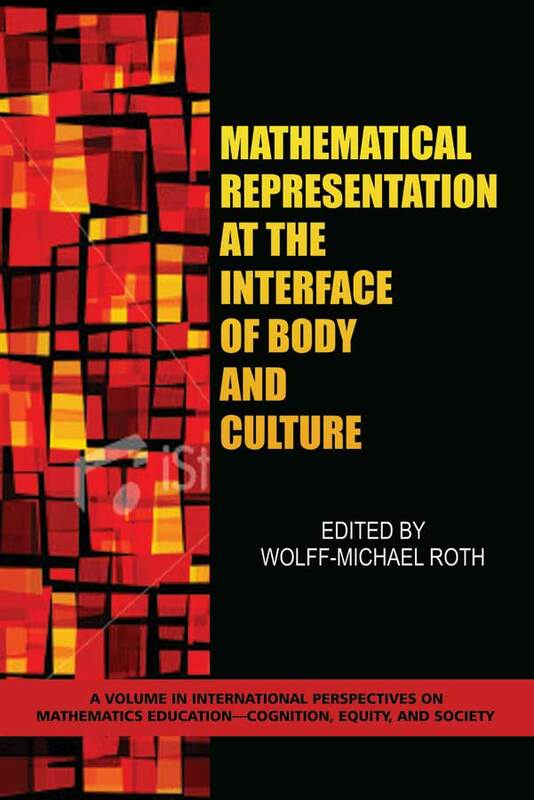 Wolff-Michael ROTH (ed), Mathematical Representation at the Interface of Body and Culture (Charlotte, NC: Information Age Publishing, 2009). 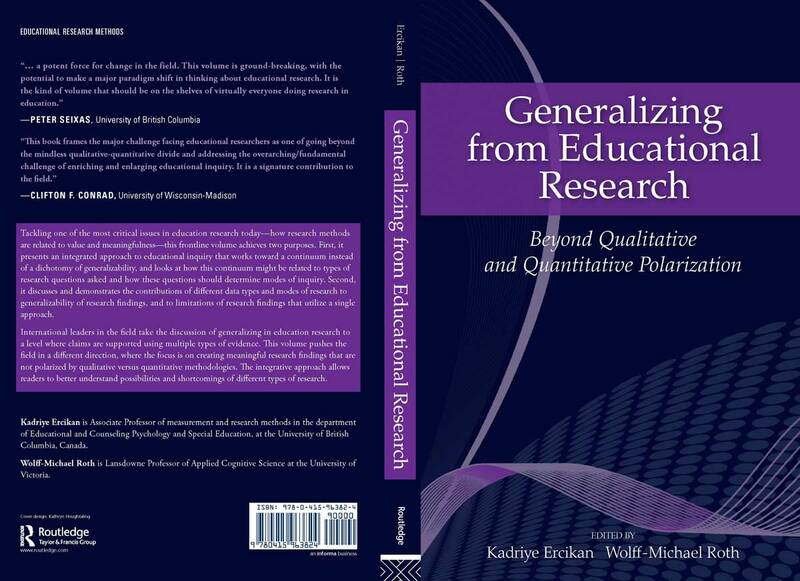 Kadriye ERCIKAN and Wolff-Michael ROTH (eds), Generalizing from Educational Research (New York: Routledge, 2009). 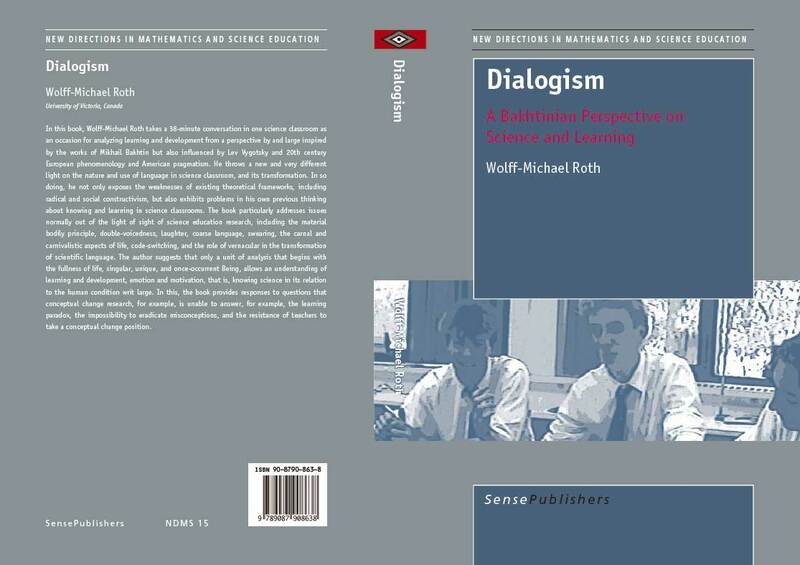 Wolff-Michael ROTH, Dialogism: A Bakhtinian Perspective on Science Language and Learning (Rotterdam: SensePublishers, 2009). 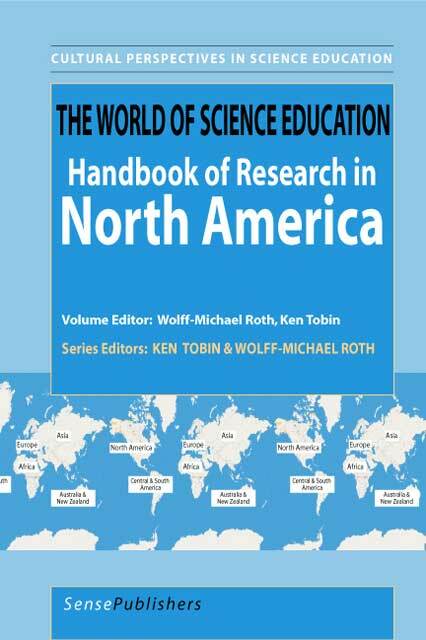 Wolff-Michael ROTH and Ken TOBIN (vole eds) (eds), The World of Science Education: Handbook of Research in North America (Rotterdam: SensePublishers, 2009). 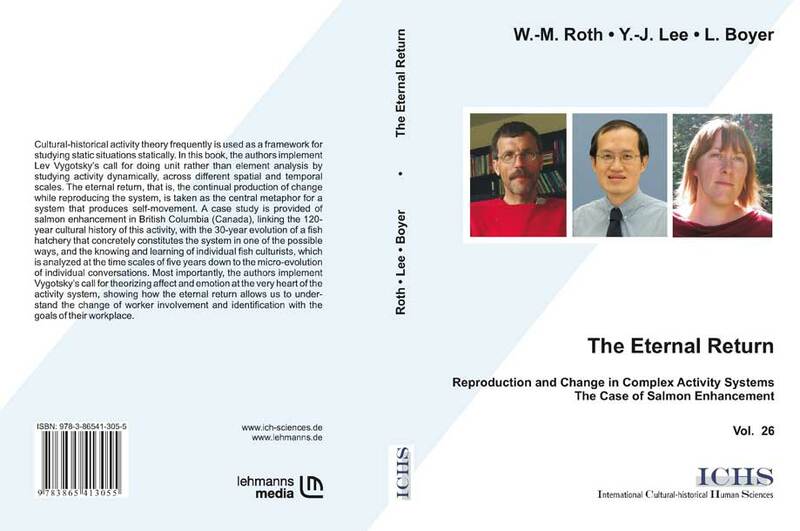 Wolff-Michael ROTH, Yew Jin LEE and Leanna BOYER, The Eternal Return: Reproduction and Change in Complex Activity Systems--The Case of Salmon Enhancement (Berlin: Lehmanns Media, 2008). 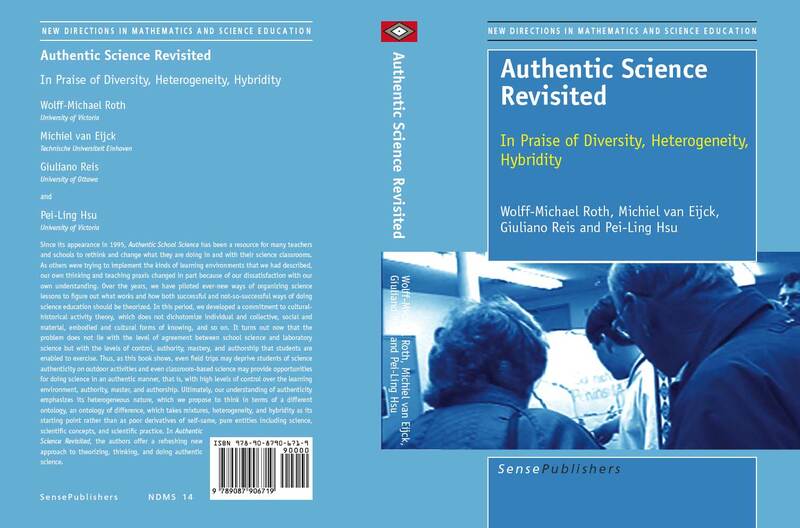 Wolff-Michael ROTH, Michiel van EIJCK, Giuliano REIS and Pei-Ling HSU, Authentic Science Revisited (Rotterdam: Sense, 2008). 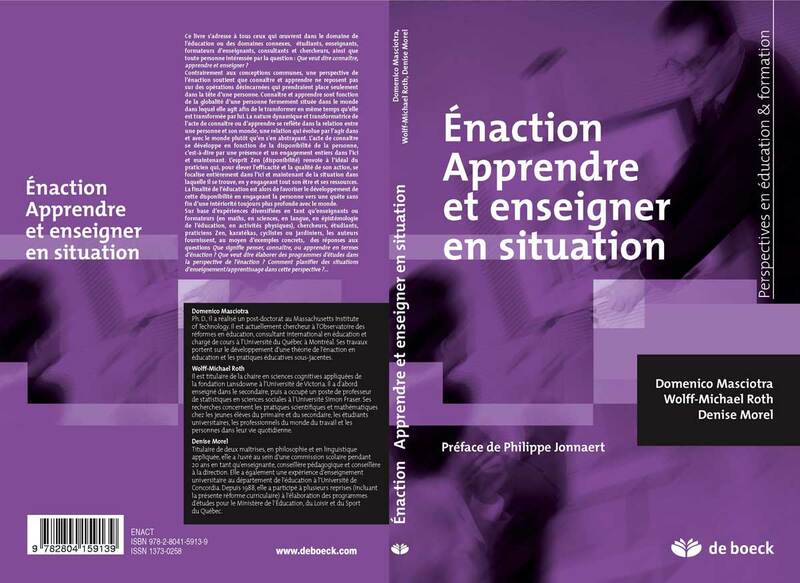 Domenico MASCIOTRA, Wolff-Michael ROTH and Denise MOREL, Énaction: apprendre et enseigner en situation (Bruxelles: De Boeck, 2008). Qu'est-ce l'énaction ? Tout se passe en action et en situation : apprendre, connaître, penser, réfléchir, se développer, enseigner, coopérer, combattre, exercer une profession et même théoriser une pratique. Ian STITH and Wolff-Michael ROTH, Students in Action: Cogeneratives Dialogues from Secondary to Elementary Schools (Rotterdam: SensePublishers, JUL 2008). 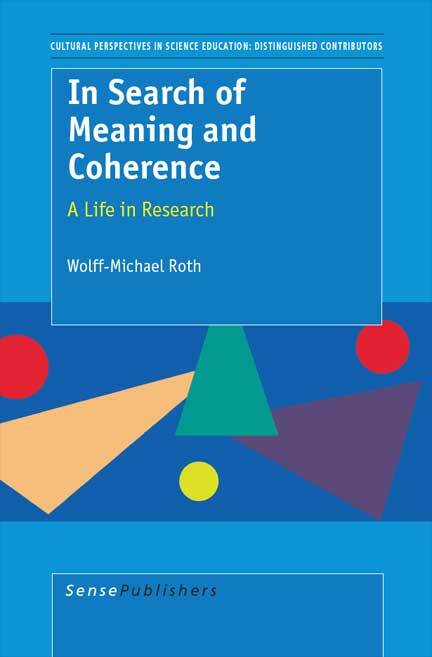 Wolff-Michael ROTH, In Search of Meaning and Coherence: A Life in Research (Rotterdam: SensePublishers, 2007). 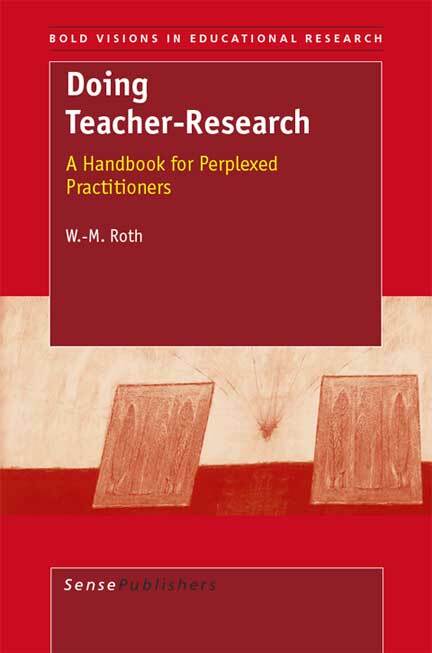 Wolff-Michael ROTH, Doing Teacher-Research: A Handbook for Perplexed Practitioners (Rotterdam: SensePublishers, 2007). 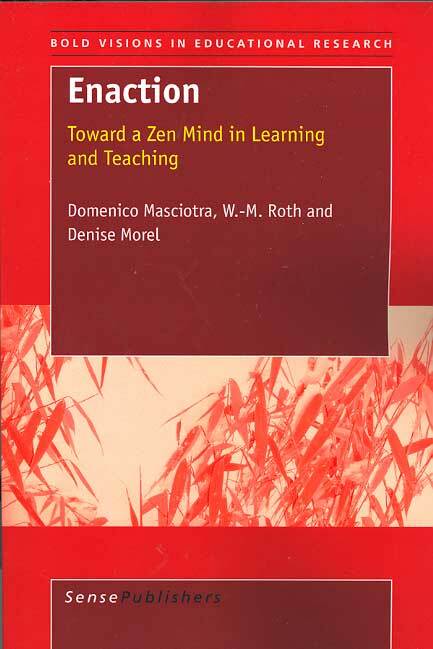 Domenico MASCIOTRA, Wolff-Michael ROTH and Denise MOREL, Enaction: Toward a Zen Mind in Learning and Teaching (Rotterdam: SensePublishers, 2007). 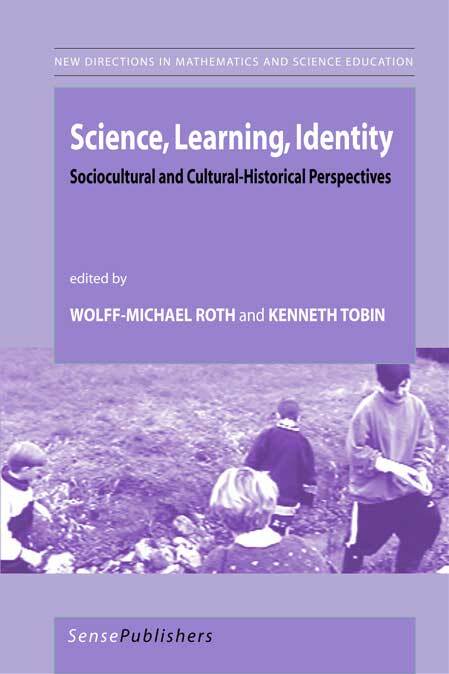 Wolff-Michael ROTH and Ken TOBIN (eds), Science, Learning, Identity: Sociocultural and Cultural Historical Perspectives (Rotterdam: SensePublishers, 2007). Ken TOBIN and Wolff-Michael ROTH, The Culture of Science Education: Its History in Person (Rotterdam: SensePublishers, 2007). Wolff-Michael ROTH, Learning Science: A Singular Plural Perspective (Rotterdam: SensePublishers, 2006). 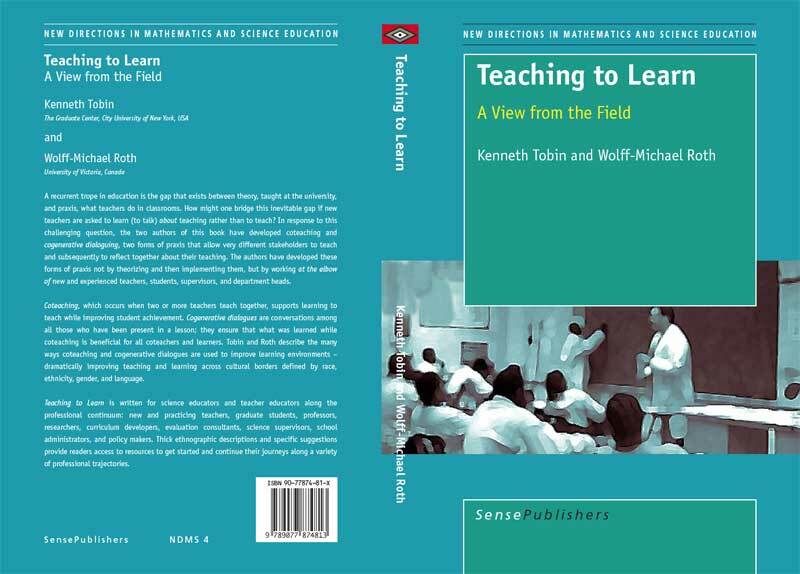 Kenneth TOBIN and Wolff-Michael ROTH, Teaching to Learn: A View from the Field (Rotterdam: SensePublishers, 2006). 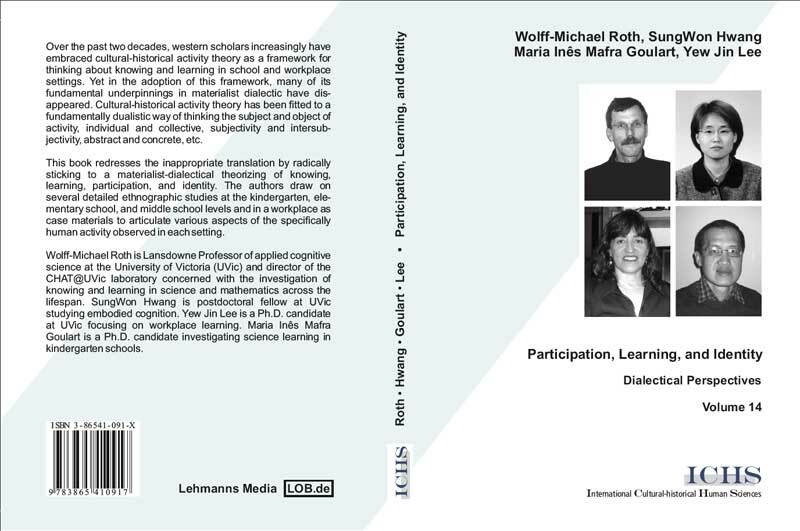 Wolff-Michael ROTH, SungWon HWANG, Yew Jin LEE and Maria Ines Mafra GOULART, Participation, Learning, and Identity: Dialectical Perspectives (Berlin: Lehmannns Media, 2005). 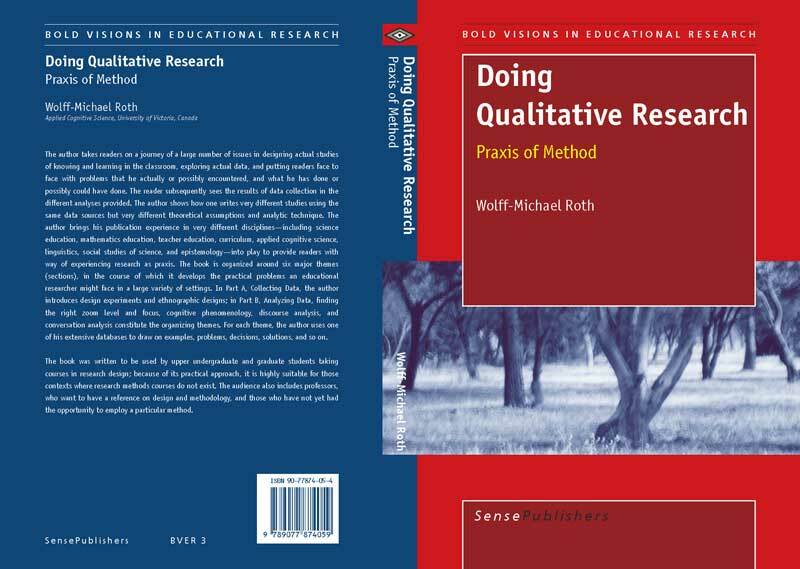 Wolff-Michael ROTH, Doing Qualitative Research: Praxis of Method (Rotterdam: SensePublishers, 2005). 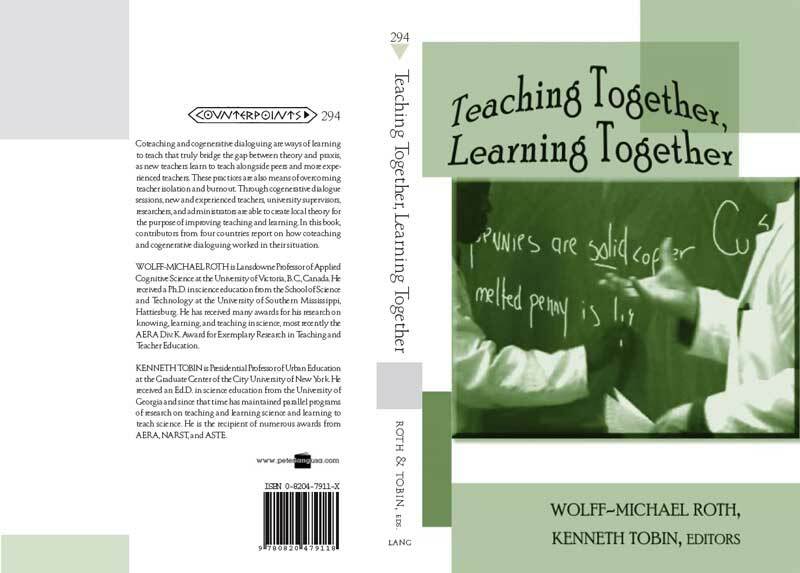 Wolff-Michael ROTH and Kenneth TOBIN (eds), Teaching Together, Learning Together (New York, Peter Lang, 2005). Science educators from Australia, Canada, Ireland, and USA report from classrooms in which new and seasoned teachers taught together and, in this, learned from each other. In some classrooms, students and teachers regularly meet to theorize what they are doing for the purpose of improving teaching and learning. 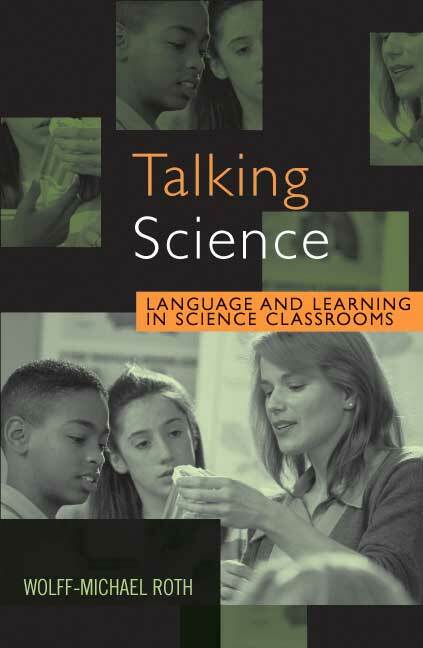 Wolff-Michael ROTH, Talking Science: Language and Learning in Science Classrooms (Lanham, MD: Rowman & Littlefield, 2005). 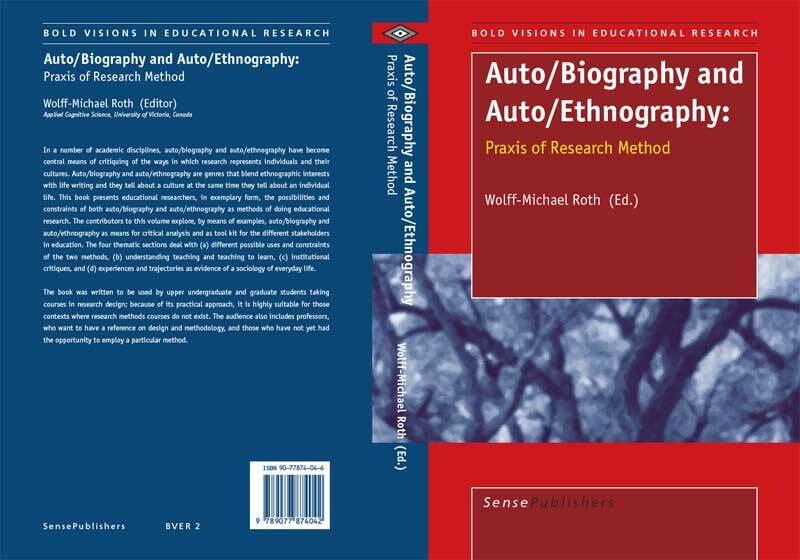 Wolff-Michael ROTH (ed), Auto/biography and Auto/ethnography: Praxis of Research Method (Rotterdam: SensePublishers, 2005). Wolff-Michael ROTH, Lilian POZZER-ARDENGHI, and JaeYoung HAN, Critical Graphicacy: Understanding Visual Representation Practices in School Science (Dordrecht, The Netherlands: Springer-Kluwer, 2005). This book is about understanding and competently using visual representations, without which science as we know it would not exist, and which are of tremendous frequency in science textbooks. Concrete recommendations are provided for better designing textbooks and for using visuals in the classroom. 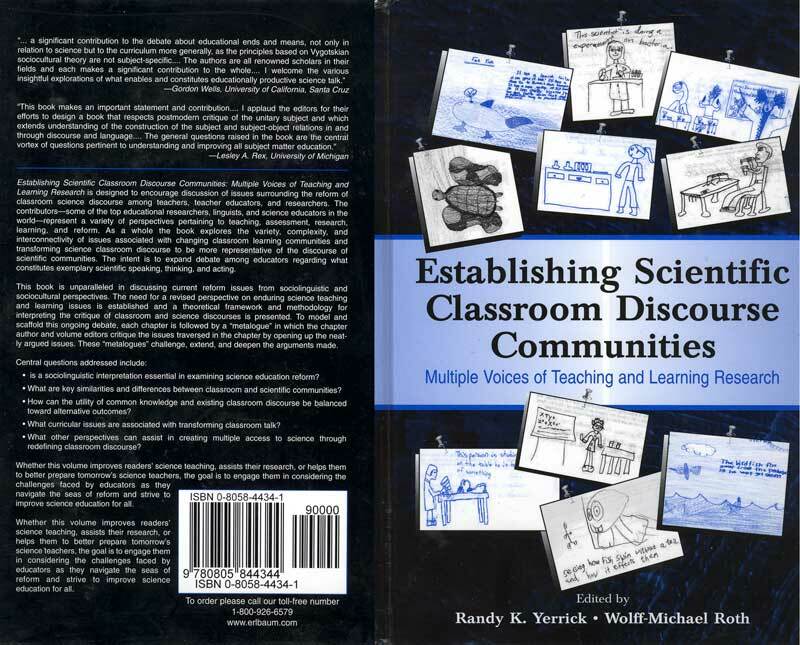 Randy YERRICK and Wolff-Michael ROTH (eds), Establishing Scientific Classroom Discourse Communities: Multiple Voices of Research on Teaching and Learning (Mahwah, NJ: Lawrence Erlbaum Associates, 2005). This book is unparalleled in discussing current reform issues from sociolinguistic and sociocultural perspectives. The need for a revised perspective on enduring science teaching and learning issues is established and a theoretical framework and methodology for interpreting the critique of classroom and science discourses is presented. 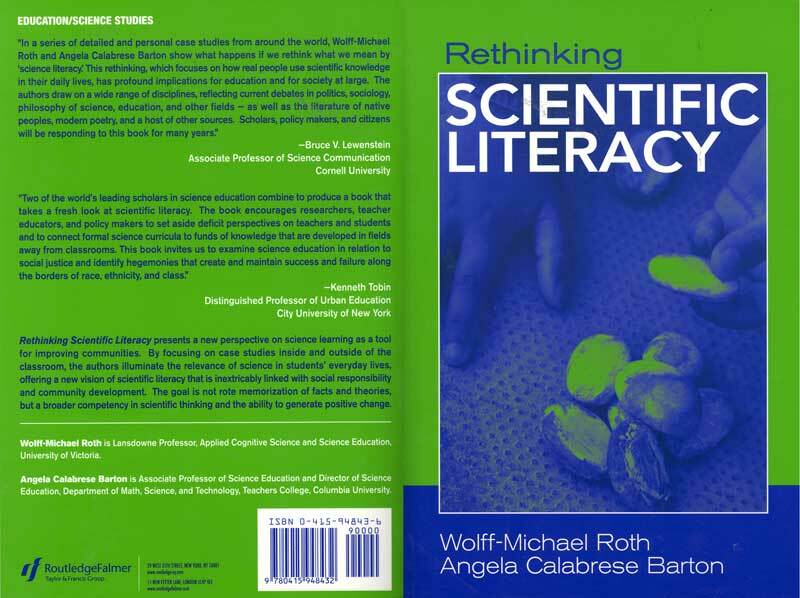 Wolff-Michael ROTH and Angela Calabrese BARTON, Rethinking Scientific Literacy (New York: Routledge, 2004). Rethinking Scientific Literacy presents a new perspective on science learning as a tool for improving communities. By focusing on case studies inside and outside of the classroom, we illuminate teh relevance of science in students' everyday lives, offering a new vision of scientific literacy linked to social responsibility and community development. !! AERA Div K Award 2005 !! 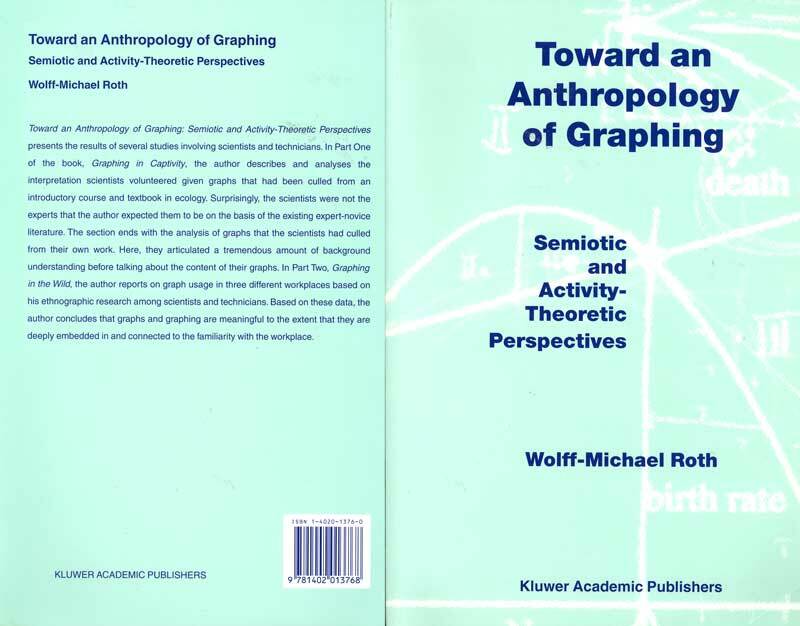 Wolff-Michael ROTH, Toward an Anthropology of Graphing (Dordrecht, The Netherlands: Kluwer Academic Publishers, 2003). In this book, I present the sesults of several studies involving scientists and technicians. Surprisingly, when given tasks, scientists were not the experts that they are generally believed to be. In the workplace, however, scientists and technicians use graphs in competent ways because they are deeply embedded in and connected to the familiarity with the workplace. Wolff-Michael ROTH, Being and Becoming in the Classroom (Westport, CT: Ablex, 2002). 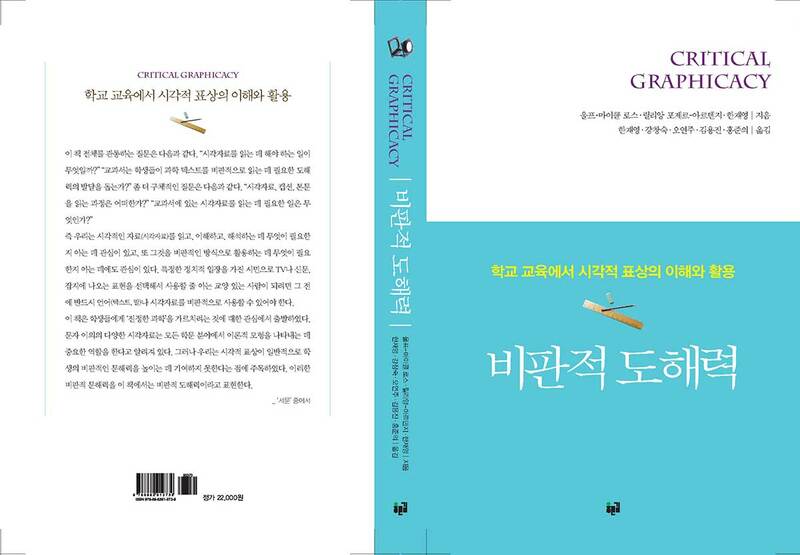 This book is about the continuous becoming of teachers in teaching. It is about coming to understand teaching not through the objectifying gaze of some observer but through my own lived experience of teaching, which I nevertheless reflect upon critically and with radical doubt. Wolff-Michael ROTH and Kenneth TOBIN, At the Elbow of Another: Learning to Teach by Coteaching (New York: Peter Lang, 2002). This book is about teaching and learning to teach, written from the perspectives and experiences of two educators who teach with other teachers and, in doing so, learn to teach. Teaching with others provides us with different understandings and a new epistemology of teaching. !! CHOICE AWARD 2003 !! Wolff-Michael ROTH and Jacques DÉSAUTELS (eds), Science Education for/as Socio-Political Action (New York: Peter Lang, 2002). This book is about alternative ways of looking at science education. The contributors focus on the role of science education by taking as starting point either social or political action. Concrete descriptions for curriculum design are provided. Derrick LAVOIE and Wolff-Michael ROTH (eds), Models of Science Teacher Preparation (Dordrecht, The Netherlands: Kluwer Academic Publishers, 2001). Each contributor to this edited volume provides background, theoretical and research-based frameworks, guidelines, and concrete examples for the implementation and assessment of innovative models of science learning, teaching, and professional preparation. 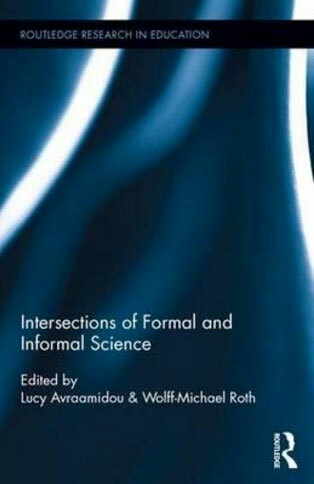 Wolff-Michael ROTH, Kenneth TOBIN, and Steve RITCHIE, Re/constructing Elementary Science (New York: Peter Lang, 2001). The central issues in this book are framed in terms of three dichotomies that reflect contradictions in science education--individual vs collective, science vs technology (applied science), and material world vs concepts describing it. Exemplary case studies show the tremendous capabilities of elementary students to talk technology and, in the process, to learn and learn about science. Wolff-Michael ROTH, Designing Communities (Dordrecht, The Netherlands: Kluwer Academic Publishers, 1998). A rich set of theoretical frameworks is used to yield a panorama of research findings about individual and collective learning in science classrooms, where students learn by designing artifacts of their choice and by having control over appropriate tools that mediate their engagements with the materials. Wolff-Michael ROTH, Authentic School Science: Knowing and Learning in Open-Inquiry Science Laboratories (Dordrecht, The Netherlands: Kluwer Academic Publishers, 1995). This is a first-hand report of knowing and learning in middle and high school science, where individual and groups of students design investigations of their own interest. Because students own their investigations, the tools they use, and the representations they produce, this form of learning has been termed authentic science.